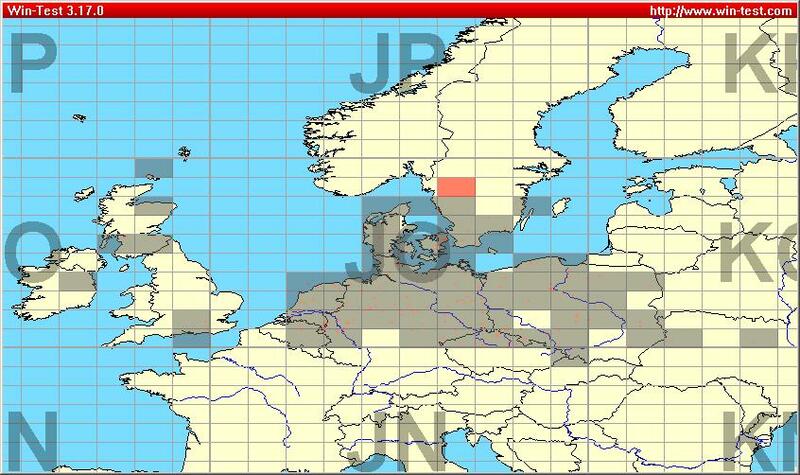 Here are my logs for the /P station at IO76XA on 18/19th December 2007 and also for 20/12/07. 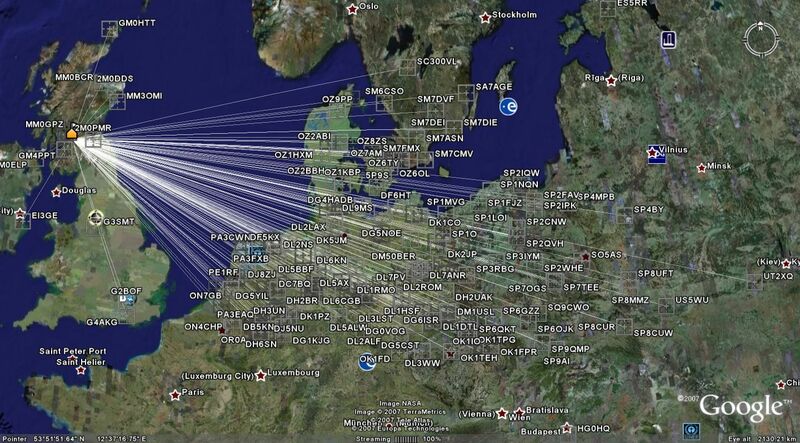 I have attached logs, maps of all QSO's made. I also have an MP3 of the 1st hours activity on 18/12 but I will forward that later. Myself and my friend Phil GM0LIR took turns to operate the station during the opening. As you requested, please find attached my log for my /P operation from IO76XA. 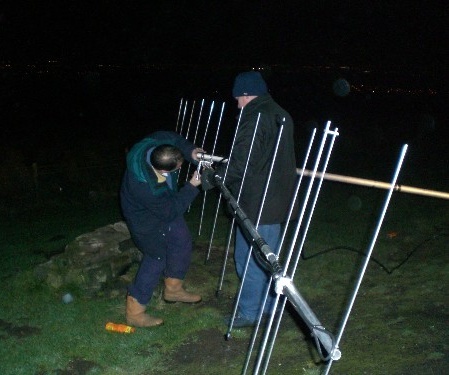 This superb QTH is a well known location (to local radio amateurs ) called the Tac Ma Doon Road, in the Campsie Hills above Kilsyth in the North of Glasgow. It is slightly over 1000 feet ASL. First QSO was at 9:33pm and we managed 165 QSO's (4 dupes) before the laptop battery finally gave up at 1:18am. Best DX was UT2XQ in KO40IG at 2252kms in tropo. He was 59 for real. I'm quite sure we could have worked even further DX if it wasn't for the wall of noise from the nearby countries HI. I am absolutely delighted as there are tons of new squares for me and first QSO over 2000 Kms on any propogation on 2m. 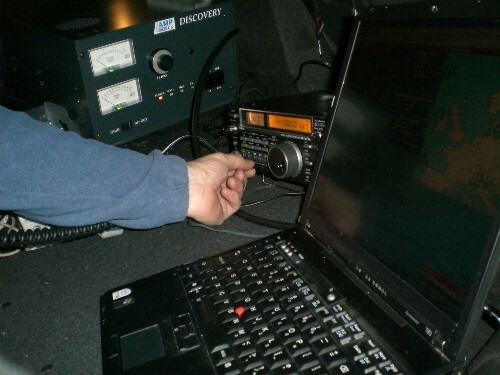 Average distance of all QSO's was 1162 Kms. 73's Matej and Happy New Year.